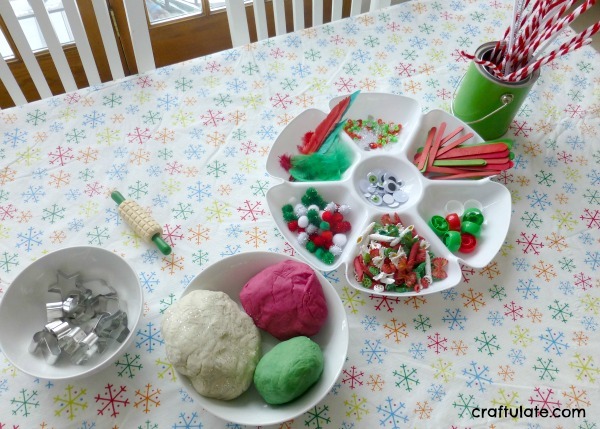 Yesterday we had a little post-Christmas party at our house and I made some fun new Christmas play dough for our friends to try out. 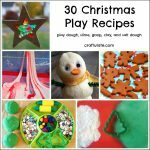 I highlighted this Sparkly Snowman Playdough Recipe from The Connection We Share in my 30 Christmas Play Recipes post, and I’ve been waiting for an opportunity to try this great no-cook recipe. It worked really well and we added a LOT of glitter to it! 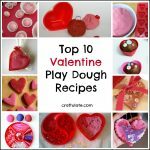 I wanted to make some pine-scented dough and didn’t have any essential oil. However, I *did* have a Christmas tree, and after reading around I discovered that I could make pine-scented water by boiling sprigs of tree! The water itself was green so I used it as part of the water in my usual dough recipe, then added some finely chopped fresh pine needles and some green food dye. In a similar method to the pine needle dough, I boiled some leftover cranberries until they had reduced down. Then I pushed the mixture through a sieve and used this lovely fruity liquid instead of the water in the recipe as above. However, the cranberries made the dough quite sticky so I did need to add extra flour. I put everything out on the table and it looked SO inviting! 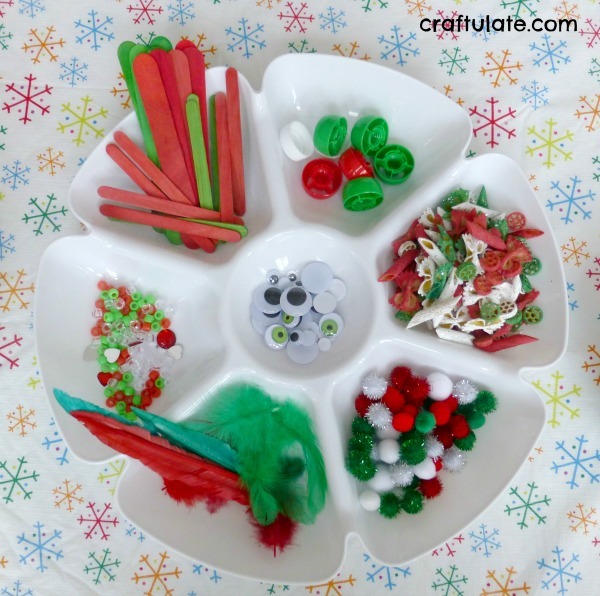 When the kids arrived they were straight onto it, and sat there for ages making different creations. They made some amazing things! 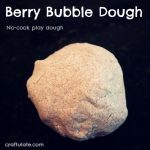 Need some help making homemade play dough? Watch our video!